before I could get a picture of the presentation! 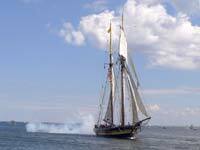 In late July, we attended the 2013 Duluth Tall Ships Festival - had a great time even though caught some rain the second day. 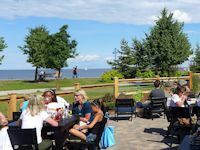 While we were in town, we were able to extend our search for the "Best Burgers in Duluth" with dining fare at the Duluth Grill and the Canal Park Brewery. 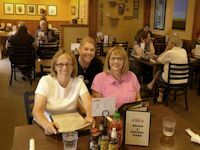 In September, while in town for the Duluth Street Drag Race & Car Show, we did a return visit across the bridge to the Anchor Bar in Superior. 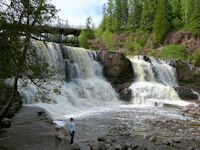 Earlier we have reviewed the best burgers in Superior, Wisconsin and sampled two excellent Duluth burger establishments - reviewing Zeightgeist Arts Cafe and Clyde Iron Works. 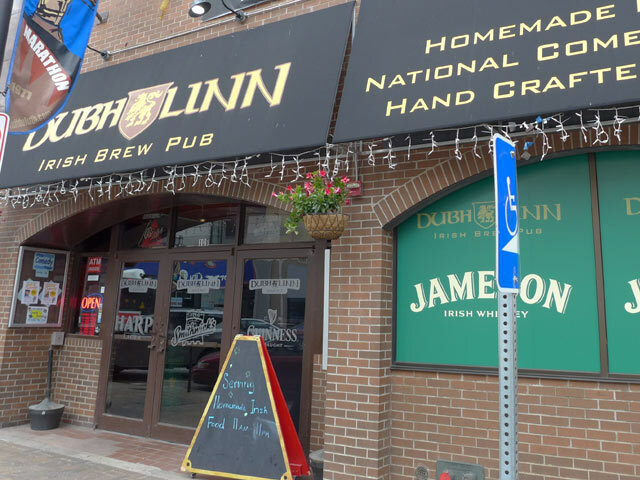 In July we attended the annual Duluth Sidewalk Sale and had an opportunity to catch lunch and do a burger review of Dubh-Linn Irish Pub on West Superior Street in downtown Duluth. We also did Five Guys Burgers on that same trip. 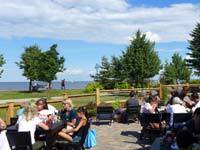 Duluth Grill is a very popular Duluth dining spot. Earlier on a weekend we tried to dine there but they were so busy we couldn't find parking anywhere near the place. But when we came to town a day early for the Tall Ships Festival (on a weekday), we lucked out. 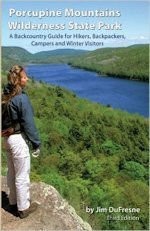 One reason for their popularity is their emphasis on locally grown, organic, and fresh produce and products. In fact some of the veggies are actually grown on site - in containers around the building and in the lot adjacent to the parking lot of the restaurant. Another attraction is a staff of cheerful, alert, and on-the-ball workers who have lots of fun in their work. 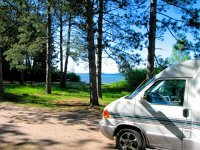 The owners are also friendly, active, and on-site. The seating is comfortable, well-lighted, and clean. 5 stars for service, 5 stars for atmosphere. 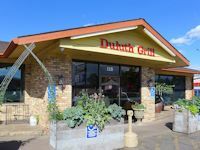 The Duluth Grill menu, while including a number of popular dishes, all have a Duluth Grill unique twist to them. For example, here is your basic two egg breakfast "Cage-free organic two egg breakfast with your choice of premium cherry wood smoked bacon or jumbo sausage patties." 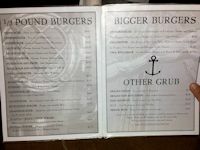 The menu offers five kinds of burgers, including two bison burgers. The closest Jo could come to what she has had at our other dining reviews was the Garlic-Gouda Burger. Unfortunately this combo didn't work for her. The carmalized onions vs fried onions and the Gouda for Swiss didn't ring the bell. And the "homemade" ketchup vs. your Heinz premium added an extra sweetness to the burger that wasn't needed. So Duluth Grill's burger only scored 3 1/2 stars. Too bad, because it is a great place to dine. Donna had their Veggie Mac & Cheese and I had their Big Veggie Salad. Our meals rated at least a 4 1/2, maybe 5 stars. Fresh ingredients, tasty, and generous portion sizes. 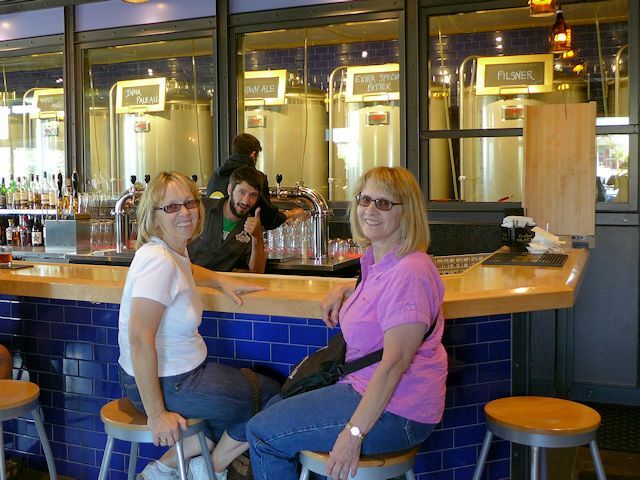 The new Canal Park Brewery was a convenient stop for us after doing a portion of the Duluth Lakewalk. New in 2013 the atmosphere is well lighted, spacious, and comfortable. Furnishings I'd describe as industrial modern - clean and functional but not particularly unique. The best seating, in good weather, is their outdoor beer garden. 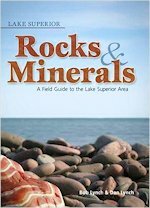 It gets lots of sun and has a good view of Lake Superior and the Lakewalk. All the tables were taken so we had to eat indoors. Jo had her classic burger with Baby Swiss cheese, fried onions, lettuce, and fried mushrooms. She likes her burgers medium well so it speaks to attending to the details when the burger still comes out moist vs. dry. 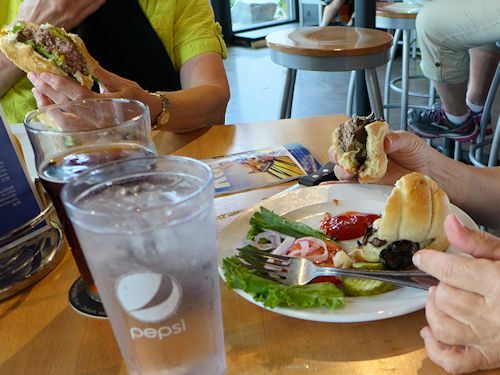 Their burger was 8 ounces (half-pound) yet was not so fat that the inqredients oozed out when cut or chomped into. Probably the easiest, in terms of being able to eat it without getting condiments all over you, of all the half-pound burgers she has had. Donna's burger was the same except no fried onions, nor mushrooms. The burger's scored a very good 4 1/2. We'd rate service as good - 4 stars, and the atmosphere - 4 stars. 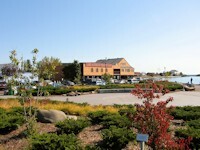 On Brews, Canal Park gets very good grades. Jo had the Porter; I had their Pilsner - 4 1/2 stars. 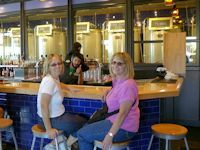 Our friendly bartender provided excellent and knowledgeable service, offering us tastes of various brews to allow us to decide what to order. 5 stars. On our way out of town after the Tall Ships Festival, we stopped for a late lunch at the Dub-Linn Irish Inn. With competing burgers from Canal Park and the Duluth Grill still fresh in our minds, Jo ordered her signature burger. The second sitting was just as good as the first. The Dub-Linn burger gets 5 stars and, to-date, is our selection for the Best Burger in Duluth, Minnesota. 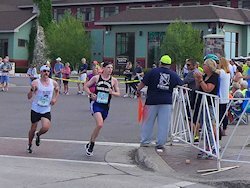 In September we were in town for the Duluth Street Drag Race and Car Show so that gave us a chance to cross the bridge to Superior, Wisconsin to again sample the burger put out by the Anchor Bar - our top rated burger in Superior. (See our earlier Anchor Bar review). 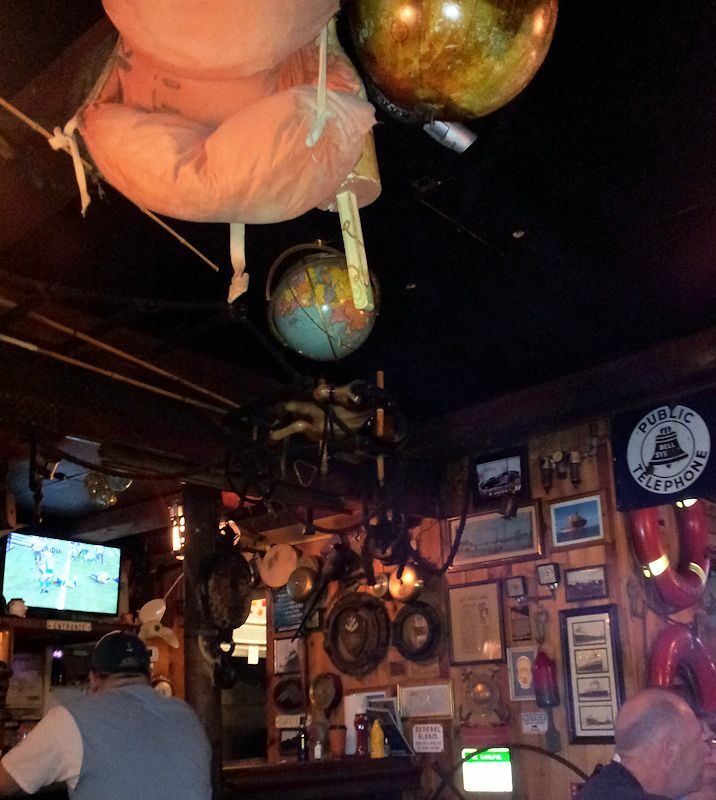 The Anchor is a funky place filled with memorabilia, paraphenalia, some might say junk, covering all the walls and hanging from the ceiling. Befitting the name, many of the things littering the place have a nautical theme. But aside from the decorations, the Anchor is proudly a blue-collar bar with an amazing selection of beers and burgers, at a very decent price. Their burger doesn't come on a fancy bun nor is the presentation anything special, but the burgers are excellent, at least 4 1/2 stars and for the price you have to give it 5 stars for taste + value, unequalled anywhere. 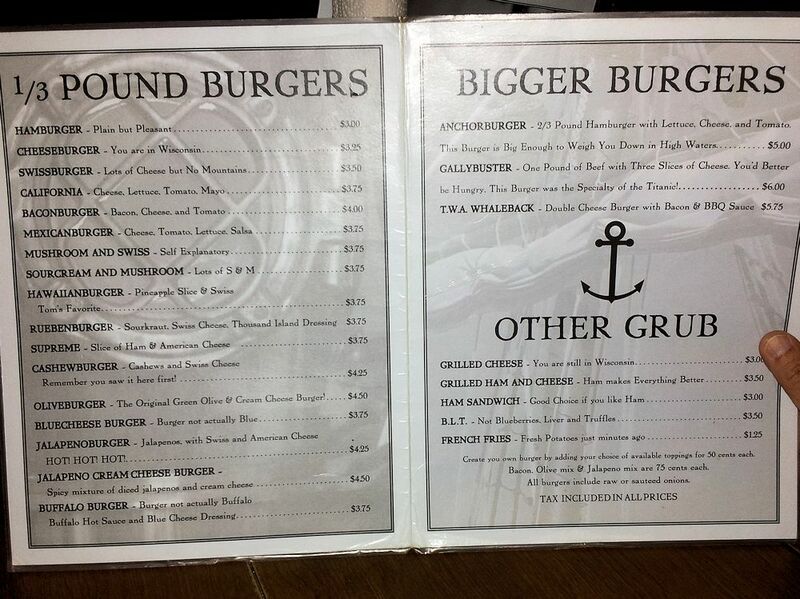 And you can get your burger in 17 different styles for the 1/3 pound burger plus 4 kinds of half-pound burgers. The fries, while passable, are also a good value in the amount you get for the price. And the beer selection is top-notch and the price - again - unbeatable. Had a 34 ounce mug of Leinie OktoberFest for $3.75! 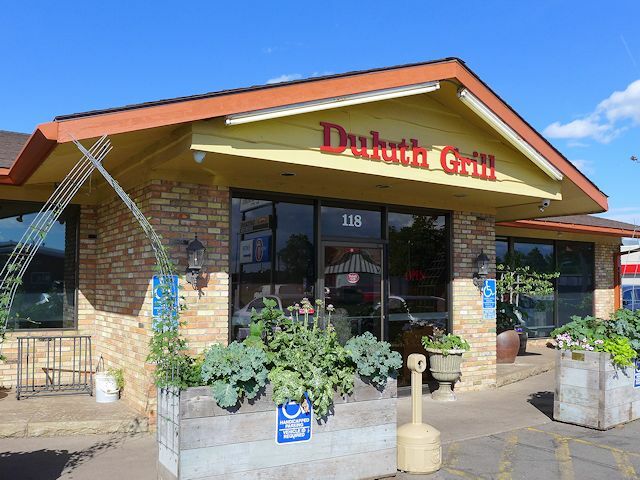 Overall, we give the prize of Best Burger Value in Superior-Duluth to the Anchor Bar. 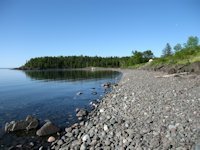 In fact, it is in our opinion the Best Burger Value around Lake Superior. 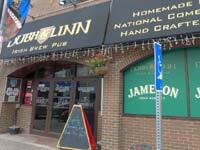 So far Dubh-Linn seems to be in the lead for Duluth's Best Burger. We'll be continuing our hunt for best burgers in Duluth Minnesota Twin Ports community as we get an opportunity to sample other Duluth and Superior establishments putting out a good burger. We've heard good things about Duluth's Big Daddy's burger so it is on our list for 2014 and we wonder if we have thoroughly covered Superior's best burger offerings.